I cannot tell you how pumped up I am to see Mary Poppins Returns. After reading some magazine features on the movie, I can’t stop talking about this movie! Of course both movies are based on the books by P. L. Travers. An obvious gift here would be some movie tickets or say an iTunes gift card to buy the movie when it comes out. I know that people are all about those experience gifts right now and I feel like the experience of going to a movie may be one that is forgotten! It’s expensive for tickets and snacks that a gift card could help! And, those tickets could be accompanied by anything on the list below! 1. 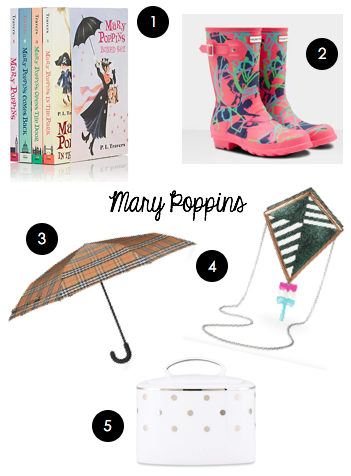 Mary Poppins Boxed Set - I'm thinking about buying this book for my pre-schooler. 3. Burberry Umbrella - While Mary Poppins’ umbrella famously has a parrot head handle, any lady on your list will love this luxury umbrella! I loved books as a kid. Still do. After a slow start, I was worried that my daughter wouldn’t share my love of books, but finally she’s catching on. 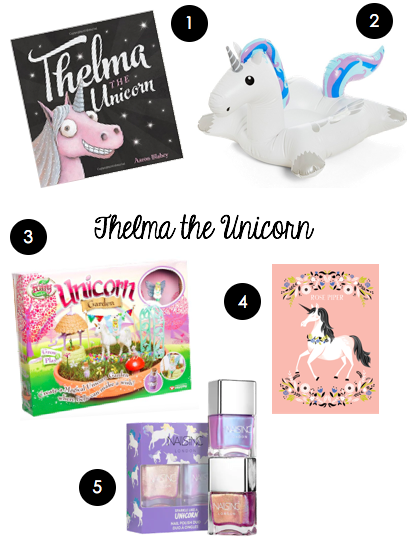 Given that I spent a lot of my nights with kids books, I decided that would make a good theme for my annual gift guide! Over the course of the next few days, I’ll share some gift suggestions using inspiration from the titles of some awesome kids books. Apologies in advance that a few skew a little girly and a lot of my suggestions are children's’ gifts, but hopefully you’ll find some inspiration! Let’s kick things off with Dragon Loves Tacos! Just call me a dragon because I LOVE TACOS! This popular kids book has become a popular birthday party theme and it’s awesome. At first, I was a little skeptical of this book, but then it caught on and I totally loved it. If you haven’t read it yet, the title kinda gives the plot away. Dragons love tacos. But, there is one kind of taco they don’t like. 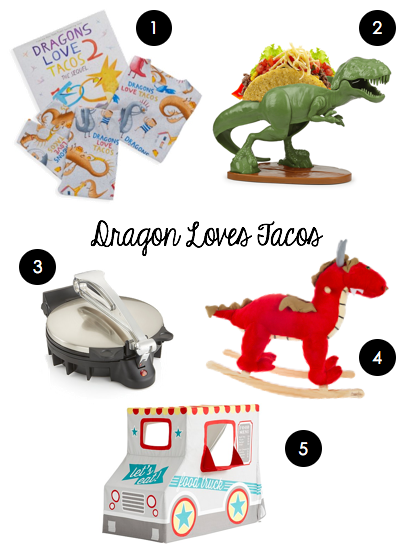 Here are my gifts inspired by Dragon Loves Tacos!